Before heading up into the mountains on Gojira, my Mahindra on the Rise Above Ride, I had a gear crisis. All my current motorcycle jackets are really old and I had no jackets that would stand rain, snow, ice and the cold. The old Blye Delta jacket was leaking and since it was a gift from a friend, it was any way too large. I started my hunt with Rev'it because I like the gear they make. But both of their all-weather, warm jackets were at Rs 35,000-odd and I was not feeling that rich. On the other side were brands like Cramster which are much cheaper but I wasn't feeling that miserly either. Then I asked Performance Racing what they had in store. They had some options. I liked a nice Ixon jacket but they didn't have my size. So I finally settled on a jacket I liked instantly, this neon-green and black Joe Rocket Ballistic Revolution Jacket. They had it in my size and the price sounded right for the kit too. So I handed over my credit card and got me a jacket. Here's how it feels after a super tough 1,200km. The JRBR is supposed to be a touring jacket. That's why it's cut to three-quarter length (covers the crotch). And it's a pretty well-featured touring jacket too. 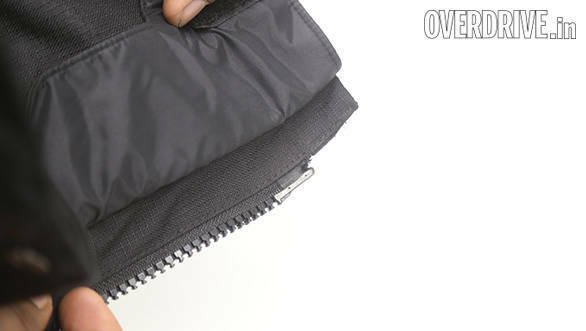 Inside is a warm liner that's a full jacket - sleeves and all. 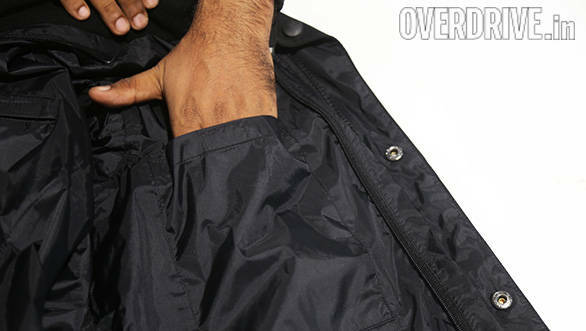 The exterior has spring-loaded snaps for fit adjustment all over the jacket. Two vents in the front and two at the back take care of ventilation if you need it. 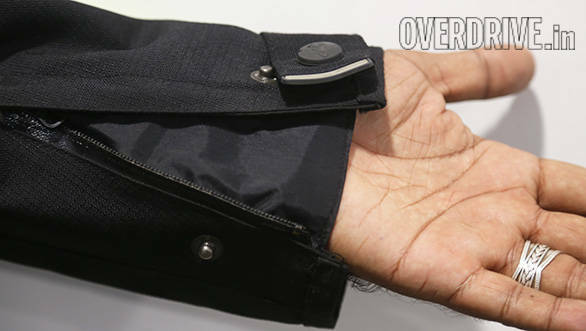 And most of the pockets are either waterproof or water resistant. The colours look neat and the finish is as I've come to expect from Joe Rocket - good enough. 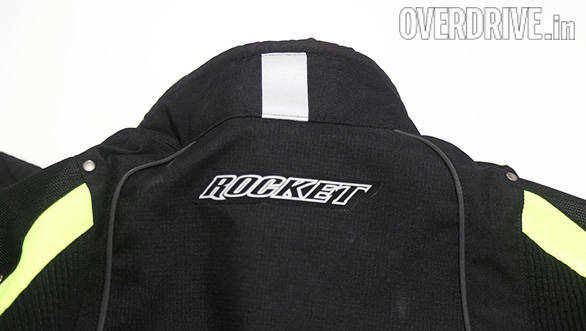 The armour is the CE approved black rubber on the shoulder and forearm and the back protector is a foam pad. A useful feature is the wide and deep pocket at the back that I ended up stuffing an extra neck warmer and gloves into. I never used them but it was good to know they were handy. I initially thought using that pocket would be trouble, but it felt completely natural the first time out. You're going to suffer. Once the liner is removed, the JRBR uses a plasticky inner liner that's impervious to water and wind. The open vents feed a thin strip of mesh at the bottom. You'll vaguely feel some wind at the bottom at speed but that's it for the ventilation. The real bugaboo is that the liner material feels clammy next to skin once you start sweating and if you're still wearing cotton tee-shirts under the jacket, you'll be sticky and wet inside in the heat within 15-20 minutes of riding. The JRBR can be made to work in the heat but you're not going to like it. You're not going to suffer. I successfully used the jacket with the liner installed down to about 2-3 degrees Celsius. You can feel that it's cold outside but you're not shivering inside. Adding your own fleece vest adds more heat and for the seriously cold rides (-10 to -15 degrees), I added my trusty (and wind- and waterproof UniQlo puffy jacket underneath the JRBR. Cinch down the waist belt and hem and insert the sleeves into the gloves' cuff and you'll be warm and toasty. The high collar is very useful and I was as snug as the proverbial bug and in a proverbial rug. I didn't catch that much rain, but there was some rain and much snow that the JRBR was tasked with keeping off me. This it did without fail. I still have to do a six hour all-wet ride that proves the capabilities beyond doubt. But I will tell you this. If it's raining and I'm wearing the JRBR, then I'm not stopping to add or remove anything. It will just work. 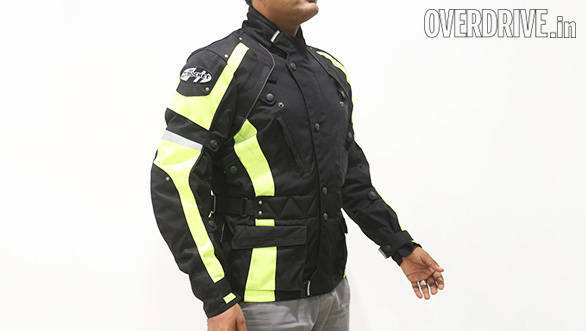 While Rs 20,000 is hardly peanuts for a jacket, as touring jackets go, the JRBR is a cheap (but effective) alternative. But you'll miss the premium features. 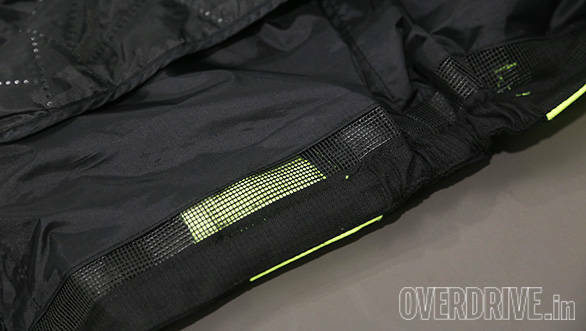 The ventilation is poor while the competition, especially the jackets that use Gore-Tex, offer pass-through vents so the jackets are actually very comfortable even in the heat. 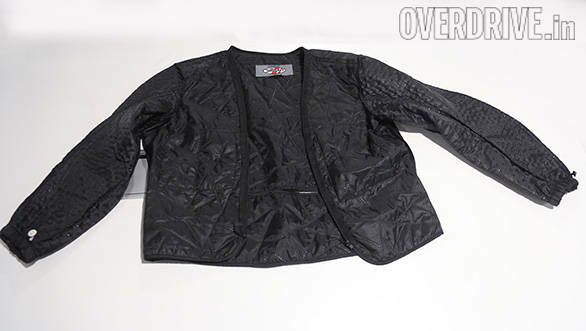 These jackets will also use a mesh polyester liner inside which feels comfortable on skin in all kinds of temperatures. 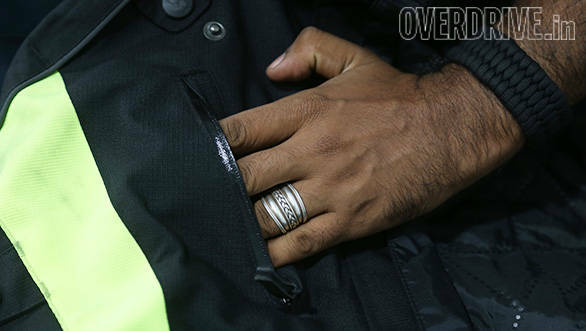 The JRBR will quickly feel like a cheap windcheater once you start sweating. 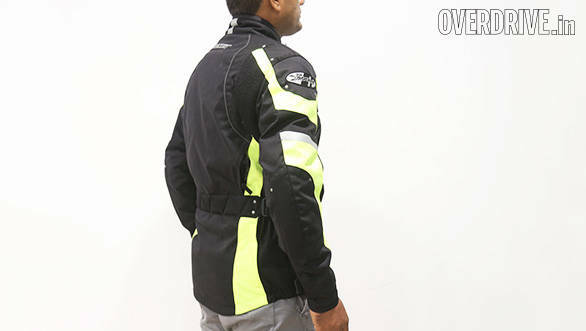 The jacket also doesn't have other touring features like a hydration pocket et al. And the main zipper - a two-way job - was already fraying slowly on the second day using the jacket. 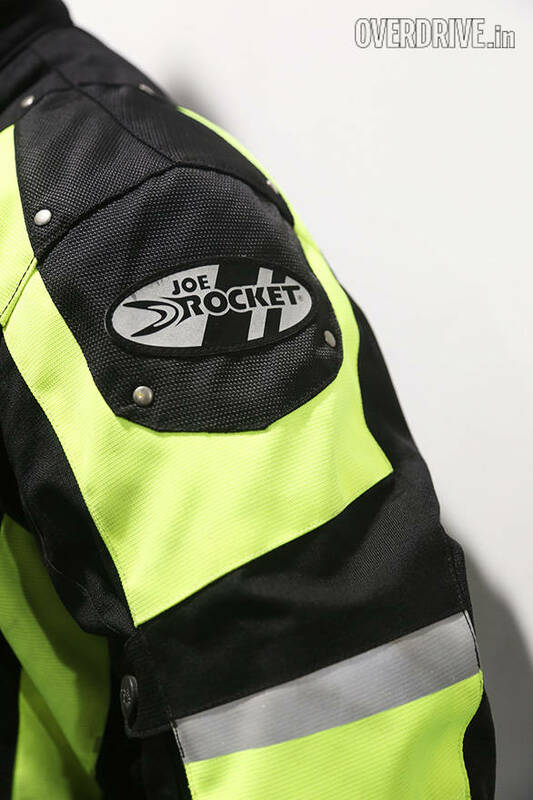 The Joe Rocket Ballistic Revolution isn't perfect but it served me rather well on the Rise Above Ride. It looks and feels good unless it gets warm and then it feels clammy and sticky inside. It feels well-made, has a nice spread of features and I think my Rs 19,000 is money well spent. 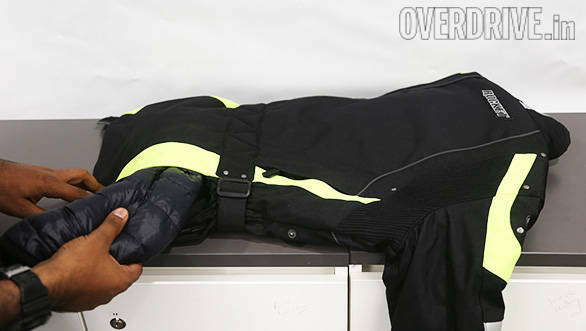 Motorcycle pants  normal trousers or overpants?